Discussing all things Disney--mostly theme parks--with a different point-of-view. You won't hear the same old Disney news that other podcasts talk about. This is a podcast for Disney fans who want to hear a fresh take on all things Disney. GreatCOTCast EP 05- Disneyland 60th AnnouncementThoughts In this episode of the GreatCOTCast, I discuss my thoughts on Disneyland's announcement of events that will be taking place their 60th anniversary. All these events will be premiering May 22, 2015 at the Disneyland Resort. Checkout GreatCOT.com for pictures and videos from the 60th announcement. GreatCotCast EP 04- Trip Report 12-29-14 Here are five things I noticed on my latest visit to the Disneyland Resort during the holidays. GreatCotCast EP 1- Freezing Over Epcot This is the first official GreatCotCast, I talk about what GreatCot.com is and what type of Disney theme park news I will be covering. I also discuss what I think about 'Frozen' taking over Norway in Epcot. Is it as big of a deal as everyone is making it out to be or are Disney fans just overreacting? Listen to find out. For different Disney theme park news, head over to GreatCot.com and follow me, Ray, on Twitter (@rcastillojr) to read my sarcastic thoughts on everything Disney. D23 Fanniversary Seattle 2014 In this episode I talk about my adventure at the D23 Fanniversary celebration that took place in Seattle this past Saturday (September 13, 2014). I do go over the event in some detail, so if you're going to the event, and don't have to be spoiled, I suggest not listening to this episode. Thanks to listening! P.S. Here is a link to the PNW Mouse Meet website (http://www.pnwmousemeet.com/) and the Facebook page (https://www.facebook.com/pnwmousemeet). Disney 30Q Here is my very first podcast--if you want to call it that. In this episode I answer 30 Disney questions. If you are interested in answering your own Disney 30, here is the link (http://goo.gl/oAbx2x). I apologize about the audio quality; this episode was recorded as I was walking to work. Thanks for listening and enjoy! 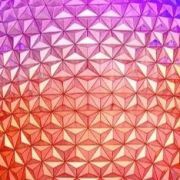 Personal thoughts on Disney and much more.